Valentine's Day is just around the corner. It time to shop for the best Valentine Gifts for the lovely people in our lives & make this day very special in your life. How often do you wish to make your room little bit lively and lovely? If quite often is your answer, then this is the best time to spruce up the way your room looks. Give this season of love, a chance to glorify your room and your love life. With the astounding collection of the wall clocks and other decoratives on Infibeam, your room will surely sparkle like new. Get just the right one to bring the right time in your life. 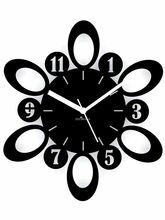 Look around the Infibeam's store of wall clocks to find out the innovative and attractive designs. Let the room carry with it, the fragrance of Valentine's day, which is just round the corner. If your plan is to decorate your room and surprise your beloved, then why not start with the thing, that has been hanging on your wall since long. It is time to choose the one that has the logo of love and is charming to look at. Find the clock that would boost the look of your room and match your personality, right on the Infibeam. 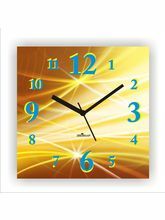 The collection includes amazing wall clocks from the brands like Colorvista, Zeeshan and Mesleep. They are fabricated with unique designs, shapes and backgrounds. There are clocks in shape of flower and lamp, making them all the more appealing. 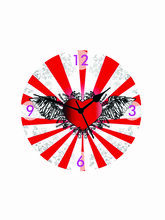 If you are looking for a funky design then, the clocks of Height of Designs will surely be right one for you. So, don't wait, just hop on to the store and seize the deal before someone else. 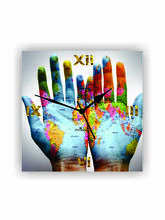 The clocks not only show the time but also make your wall look sophisticated, if chosen right. With Infibeam's cluster of wall clocks online, you won't have to search anywhere else. Just log on to the site, surf and add your favourite ones into the cart. Check out by using any of the payment options from cash-on delivery, net-banking, plastic money and say goodbye to the traditional ways of shopping and relax! For your convenience, we also have a standard exchange and return policy and express delivery.